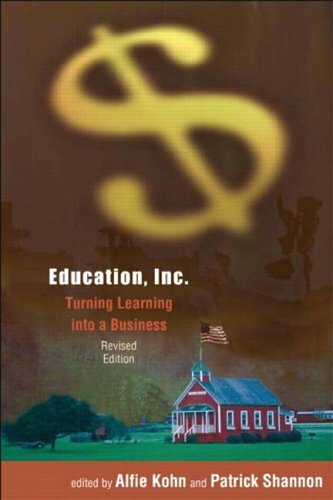 While educators want their students to grow into thoughtful and curious people, the overriding objective of corporations is to maximize their own profits. From that fact alone we can predict what is likely to happen to the nature and purposes of our schools when business becomes involved in the education of our children. This unique and timely anthology chronicles the extent of that involvement, along with the troubling consequences it has already brought. a critical look at the process whereby teachers are turned into grant writers. If you are interested in obtaining the original edition of this book, an edited anthology published in 1997 by IRI/Skylight, please leave us a message at the e-mail address listed for questions & comments on the Contact Us page.